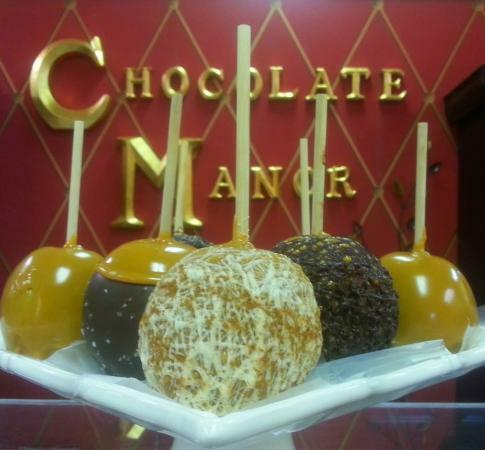 There aren't enough food, service, value or atmosphere ratings for Chocolate Manor, Iowa yet. Be one of the first to write a review! The chocolate is delicious. The English toffee was so fresh and good. Also the hot chocolate is like drinking a liquid candy bar. Great! The chocolate tastes heavenly and the staff if very friendly and knowledgeable. I recommend this place to anyone that likes chocolate. Need to satisfy a sweet tooth? There are some options here including gelato. Not really a must stop but an option if you are in the area. We visited for breakfast and were very impressed with the food, coffee, room and service. They open at 7am so if you arrive by ferry they should be opening when you arrive. We did no book but it was a quiet time of the year. This little place is right across from the Radisson in Davenport, Ia. Found it on a must visit list. Boy were they right. Maddy was very helpful and patient with me while selecting their delicous chocolate. will visit again. Awesome service and wonderful carmel!! Great service from the moment we entered and it was 2o minutes before closing. My wife buys chocolate all over the world and the toffee and carmel in this place rival any of them. Very polite and REAL service and not expensive!! Wow what a SWEET place! Some of the best chocolates I've ever had. Had a complimentary gift from the Radisson and had to come back for more. They will also ship anywhere in the Country! If only had the opportunity to go once but definitely plan to go again soon. Their apples are great and the Carmels are so good! Can't wait to go back! 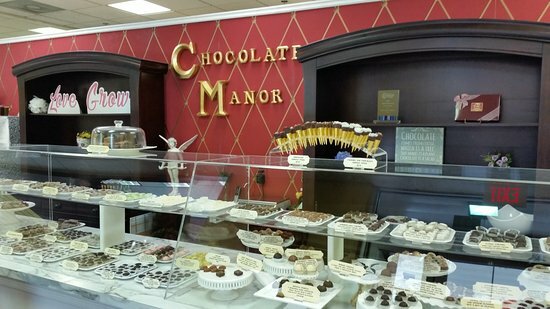 Get quick answers from Chocolate Manor staff and past visitors.